My current obsession is with Vitamin C, thanks to a new study, which says that UV damage continues long after sun exposure has ended. With every new obsession comes obsessive research, and then comes the obsessive hoarding of products that contain the miracle ingredient. If you’re a skincare junkie (like me), you might be tempted to seek out overly strong treatments, assuming that more is better. But ingredient-overload can do more damage than good. Tony loves Vitamin C as much as I do and says that everyone could benefit from a great serum. 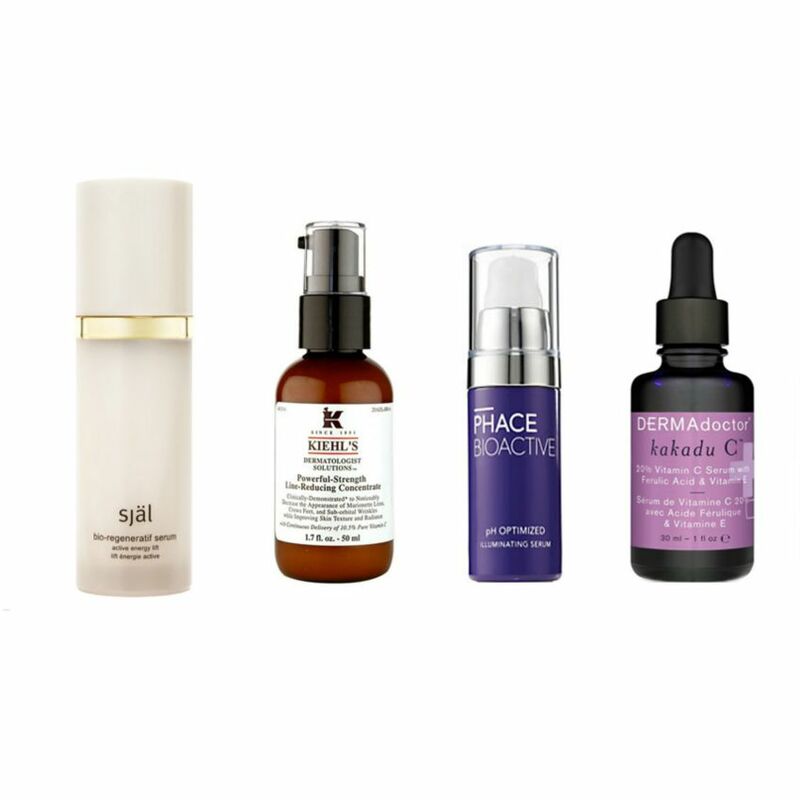 For the novice, a good starter treatment is Själ Bio-Regeneratif Serum, which happens to be Tilda Swinton’s favorite. So that’s how she maintains that pristine porcelain skin. It’s a gentle cocktail of oil-soluble Vitamin C, peptides, and a proprietary gemstone blend. It works well on sensitive skin types, and it’s safe enough for day and night use. For a moderate dose, Kiehl’s Powerful-Strength Line-Reducing Concentrate is a water-based serum with a gel-like texture that offers 10.5% Vitamin Concentration. If you want to amp things up a bit more, Saks just launched the exclusive Phace Bioactive Illuminating Serum, which pairs a pH-optimized 15% C content with licorice root and mulberry extracts to fade spots. Those with active t-zones will appreciate this oil-free formula–it absorbs easily and exfoliates much like a retinol–without any harsh side effects. When you’re ready for the full effect of Vitamin C, DermaDoctor Kakadu C 20% Vitamin C Serum With Ferulic Acid & Vitamin E is a powerhouse anti-ager. The Vitamin C is derived from the Australian Kakadu Plum, which contains on average 55 times the Vitamin C of Florida oranges. For extra ammunition, Ferulic acid not only amps up the performance of the C and E, but also brightens skin within a few days of regular use.